Lunsa is a healer. The Herbaline for her mountain village, she alone knows the cure for the illness that’s threatening to take her sister and the rest of their tiny community. But when an angry general with a personal vendetta threatens to destroy everything important to her, Lunsa surrenders herself and is whisked away. Her capture sets off a chain of betrayals that leaves her and her captor stranded together in the deadly wastelands. Their only hope involves trusting each other and waging a mutual war. Can she save the tribe she loves so dearly, or will it fall by the wayside for the sake of the greater good? 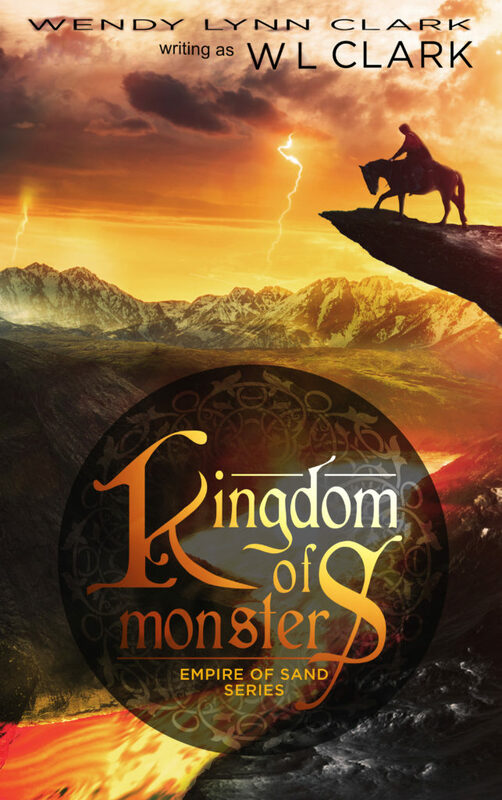 Kingdom of Monsters is a sweeping fantasy epic that follows a young woman from the heart of her lowly village to the throne room of the Citadel, pitting her against monsters, gladiators, and armies of all sizes. If you love spellbinding fantasy, lush settings, and interesting worlds nuanced by Native American traditions, then you’ll love this epic fantasy novel by W. L. Clark.